If you would have asked me a few months ago what I thought about Smart Lighting, I would have had no idea what you were even talking about. But thanks to my handy husband (who’s also a bit of a tech guru), I’m not sure I’ll ever go back to a life without Smart Lights! We recently upgraded our home with Smart Lighting and I absolutely LOVE the convenience it has added to our lives! 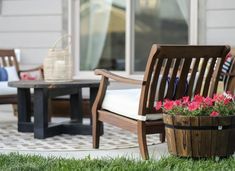 No more forgetting to turn the porch lights off before bed, or worse, having to leave the recliner to dim the lights for an impromptu movie night! 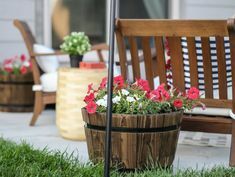 Since I am now convinced that EVERYONE should have this feature in their home, I have asked Mike to write a post detailing exactly what you need to get started! He’s giving away all of his Smart Lighting knowledge today, so get ready to “Pin It” – you’re going to want to remember this! 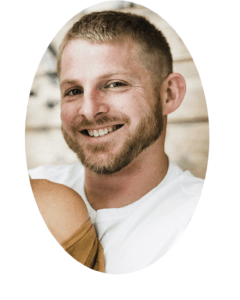 So without further ado, I present my handsome hubby…. When it comes to technology, I’m kind of obsessed. In fact, Ashley jokes that I am a closet nerd. Whether or not that’s true, my love for all things tech related can come in handy! 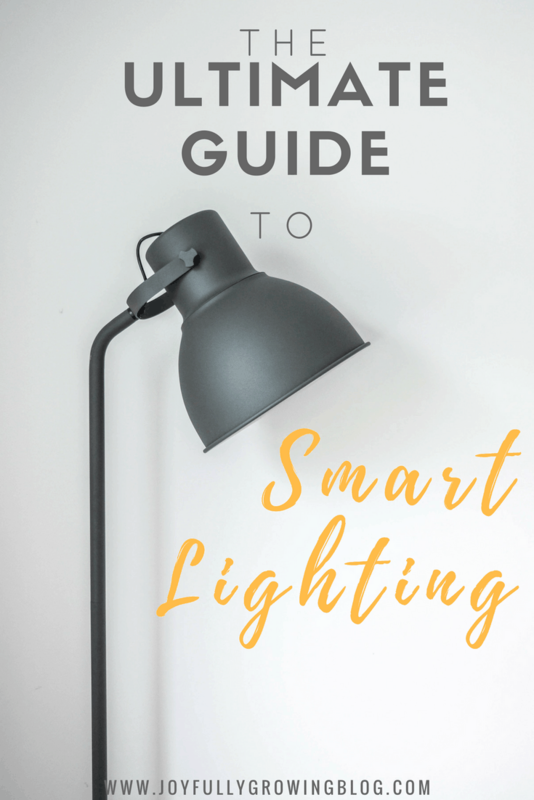 We recently set up our home with Smart Lighting, so I decided to make a smart lighting guide! I wanted to share what I learned and why YOU should upgrade also! Why wouldn’t you want to control the lights in your home with an app on your phone? 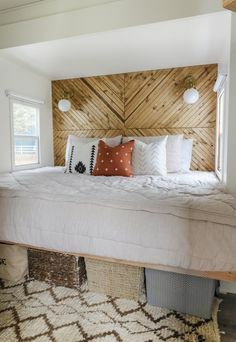 It’s affordable and simple! Being able to shut off the lights in the bedroom without getting out of bed is just one of the many perks of smart lighting. You can also schedule exterior lights to automatically turn on at dusk and shut off at dawn. I’ve done the research and testing for you. 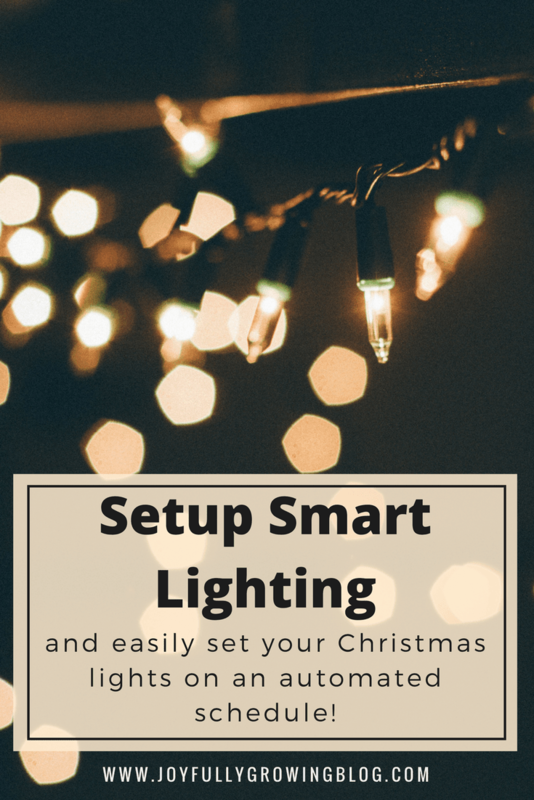 Below, I’m sharing exactly what you need, along with a few helpful tips to get your Smart Lighting up and running! Follow this simple smart lighting guide to get the right components, the first time! The Smart ‘Hub’ is the brains of the smart lighting operation. All the smart devices used in your installation will report back to the Hub for orders. 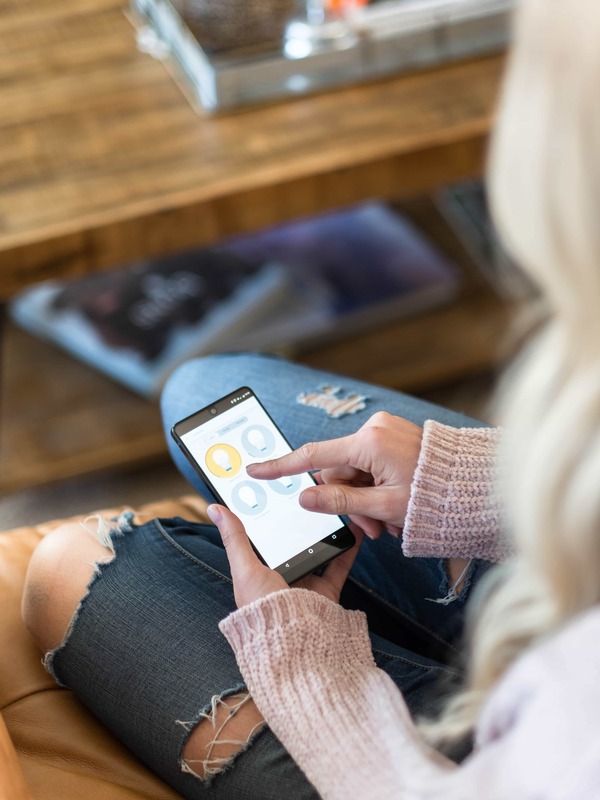 Once the Hub is connected to your home internet, it’s able to talk to the app on your smartphone. This allows you to easily control lights, or set dusk/dawn schedules from your phone. There’s a few different brands of Smart Hubs to choose from. However, I wouldn’t look any further than the Wink Hub 2 (or ‘Wink’ for short). It has the most features for the best price. Plus, it’s compatible with nearly all smart home automation products, regardless of brand. Pairing Wink with other smart devices is easy, and the Wink App has all the features you’ll need! Installing smart bulbs is easier, but it doesn’t always work well. Also, it’s more expensive. This is why I recommend upgrading the switches. Plus, Smart Switches are compatible with any light bulb. Smart Switch functions like any normal switch when toggling on or off manually. The difference is that it can also be remotely controlled. 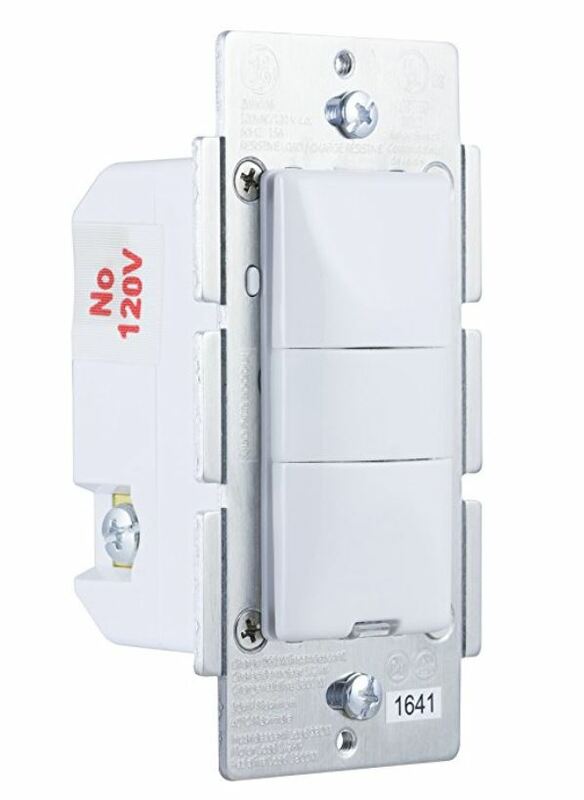 I recommend using the GE Z-Wave Plus Smart Dimmer Switch. 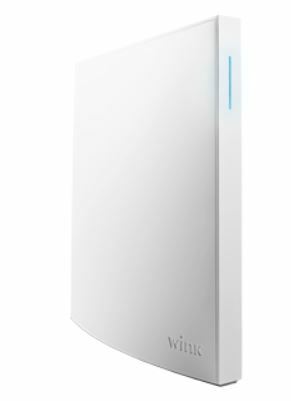 It has best-in-class wireless range and the fastest response time when controlling remotely. Plus, it’s dimmable! 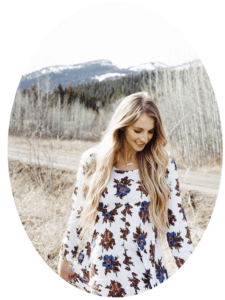 Learn from my mistakes – avoid the cheap off-brand options. 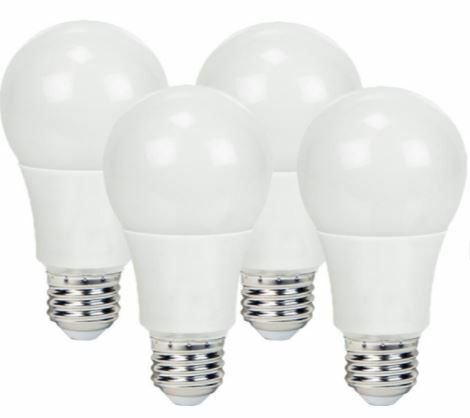 These cheaper brands are notorious for making the lights flicker, having connectivity issues due to poor range and delayed response times – not a ‘smart’ choice for smart lighting! If you prefer lamps to overhead lighting, like Ashley, then Smart Outlets are the perfect solution. 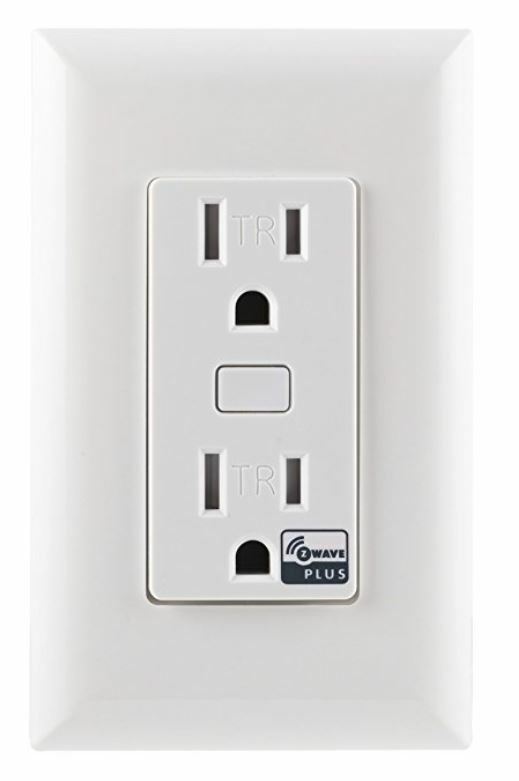 For outlets that are not connected to a light switch, upgrading the outlet is the easiest path to automation. Like the Smart Switches, you can either set them to an automated schedule, or turn them ON/OFF with the Wink App. Easily customize the schedule to best suit your needs. For example, a schedule for a lamp in the living room could look like this: ON from 6AM-10AM, OFF during the day, ON from 1 hour before dusk, OFF at 11PM. Smart Occupancy Sensors, also referred to as Occ. sensors, are more expensive than Smart Switches. However, the added cost can be worth it because they’re extremely convenient for certain rooms. An Occ. sensor automatically turns on the lights when someone enters a room, and shuts them off when they leave. 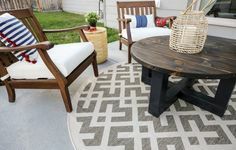 It’s perfect for common areas like a living room, great room, or kitchen. 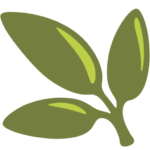 Occ. sensors are also equipped with an ambient light sensor. This sensor is adjustable and allows you to prevent the switch from activating during the day when there is plenty of natural light. When it comes to choosing a Smart Occupancy Sensor, the GE Z-Wave Plus / Occupancy Sensor is my top pick. Now that you know which components are needed to get started, let’s talk next steps: coming up with a plan. It would be costly to upgrade every switch in your home. The good news is, you really don’t need to! When deciding which switches to upgrade, think about which lights would be convenient to control from your phone. Next, decide if it would be useful for certain lights to automatically turn on when you enter a room. Finally, decide which lights could use an automated schedule? Now, count them up! 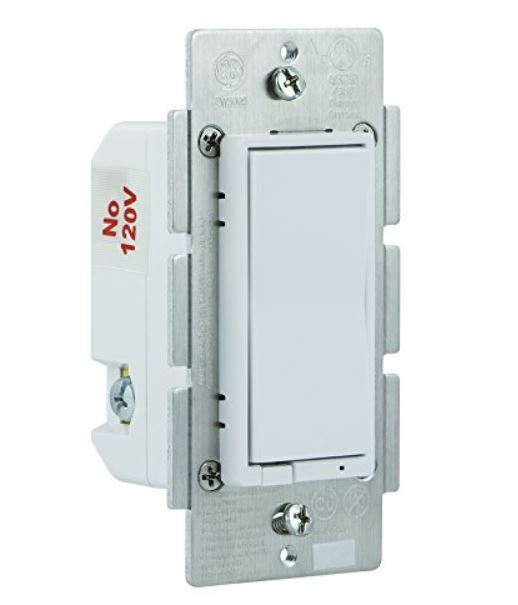 If your Christmas lights are controlled by a switch, consider upgrading that to a Smart Switch! This makes it possible to automate the Christmas lights with an on/off time schedule. In our home, Ashley and I installed 4 Smart Switches, and 1 Occupancy Sensor. 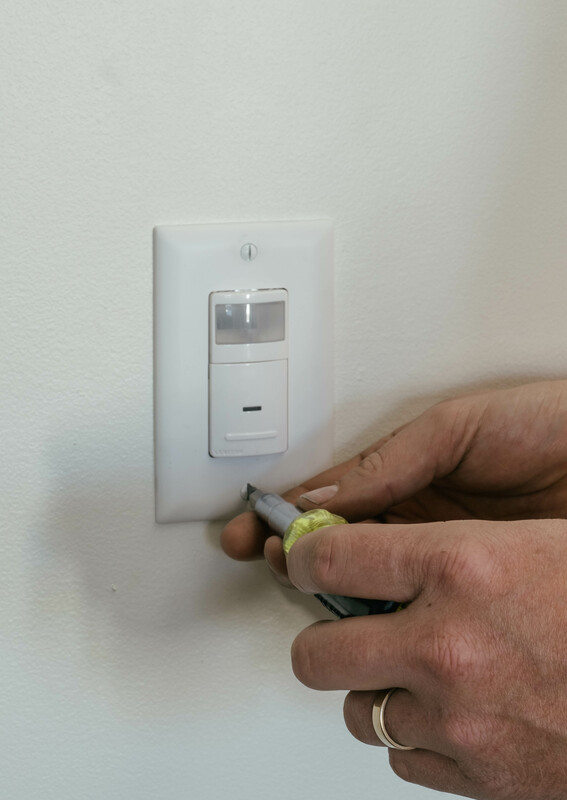 The Smart Switches control our master bedroom, TV/bonus room, front porch, and the lights over our garage. The Occupancy Sensor is in the kitchen. Using a couple of Ashley’s ninja Amazon tips and tricks, (Amazon Warehouse Deals + Amazon Store Card) we were able to get all of our hardware at a discounted price. Here’s the fun part. You’ve got your plan and purchased your hardware. Congratulations! You’re ready for installation. You’ll have your smart lighting set up in no time! Setting up the Wink Hub 2 is simple. Start by choosing a central location in your home and connect the Hub to power. Download the Wink App on your smartphone and let the app guide you through the setup process. Removing an old switch (or outlet), and wiring a new one can be done in around 5 minutes with basic hand tools. Don’t be intimidated – any DIYer can safely tackle this job, even without previous electrical experience. Simply follow the instructions that came in the packaging with the your new switches. Once the hardware is installed, sync each smart device to your Hub using the Wink App. The app will walk you through putting the switches into ‘pairing mode’ and syncing. For the lights you wish to put on an automated schedule, use the ‘Robots’ feature within the Wink App. For example, create one ‘Robot’ to “turn on the Christmas lights at dusk”. Then, create a second ‘Robot’ to “turn off the Christmas lights at midnight”. Garage Door Opener – With a smart garage door opener, you can remotely see the status and control whether your garage door is open or closed. Never circle back around the block to see if you forgot to shut the garage door again! Smart Deadbolt – Use your phone to unlock the front door if you misplace your key. Or, unlock the door for a friend or family member when you aren’t home. This would have come in handy earlier this month when our garage door broke and I didn’t have my front door key! Nest Thermostat – Save money on your heating/cooling bill. Nest learns your schedule and turns down the heat when you leave the house. 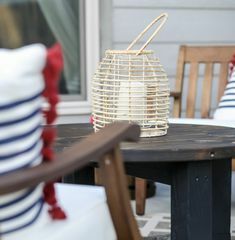 This is on our House Upgrades wishlist! Whew! I know that was kind of a lot, especially if you’re like me and SO NOT techy! But that’s exactly why I wanted him to walk you through it 🙂 The effort it takes to get this system up and running is so worth it! I love having the ability to control the lights in our home right at my fingertips. Eventually we are going to work on adding the other home automation products he mentioned as well! Another added bonus of having Smart Lighting in the home, is that we are able to turn lights on/off while out of town. Call me paranoid, but I always get nervous when we leave our house vacant for more than a few days. Now that I can control the lights from my phone, I am able to turn on a few interior lights to give the appearance that someone is home. This will come in handy for our upcoming holiday travels! 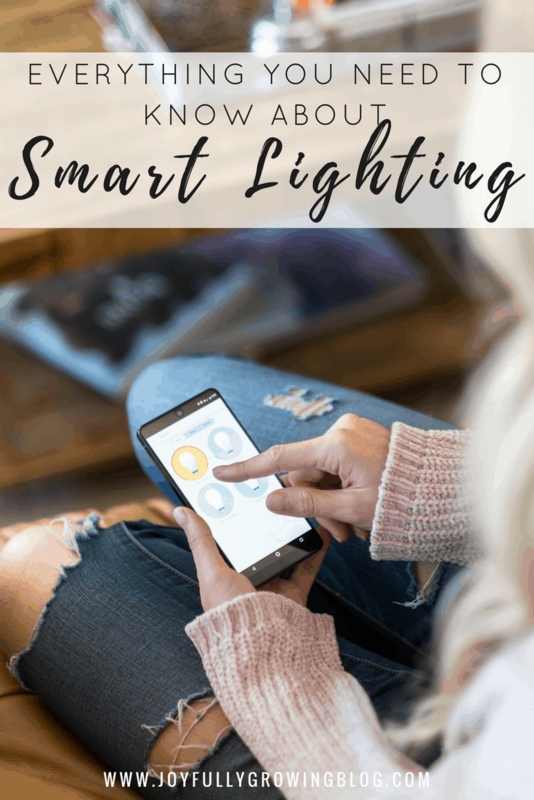 This whole Smart Lighting thing has been a game-changer for us, and I hope it will be for your family as well! Do you have Smart Lighting in your home? What are your favorite features? Mike great job on the blogging and for sharing this with all of us. I am definitely going to show this to my hubs as I am not a techy…I am in awe of those that are. Anyway, thanks for this great summary…that comment about not getting off the couch to dim the lights for an impromptu movie night…or turning the Christmas tree lights on with a remote…all sounds incredibly enticing to me. Thanks for writing this and you might need to start a blog soon. Not sure I can get Dad to buy into smart lighting especially in our old house, but I’ve got someone else in mind to share this post with…Zac!!!! Thankful for a “tech guru” son who I can call when I need heeeeeelp!!!!!! Your are amazing!!! !